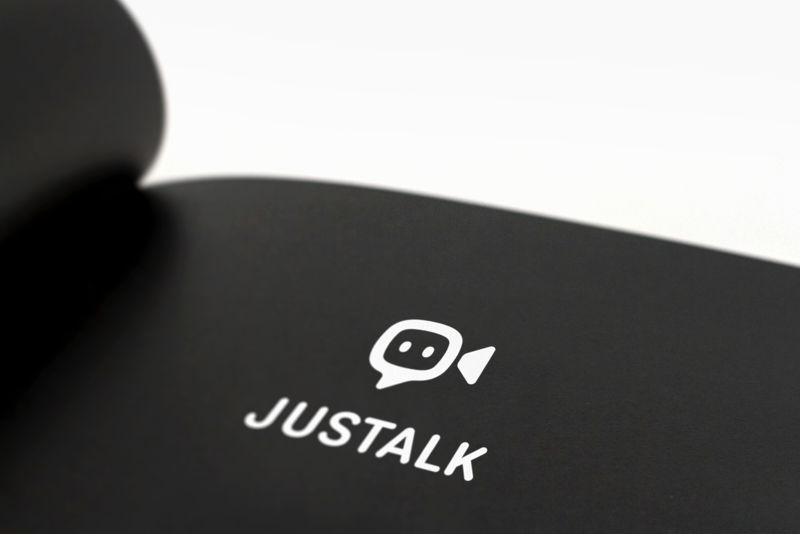 JusTalk provides a simple and fun video/voice communication service to the mobile app users. The app has more than 10 million loyal users around the world and more than 100 million minutes of international video calls every month. It is great for people with close relationships, including friends, family members, and colleagues. Users can publish and participate in online interactive activities so that they can have shared life moments and experiences with their friends and family regardless of how far away they are. 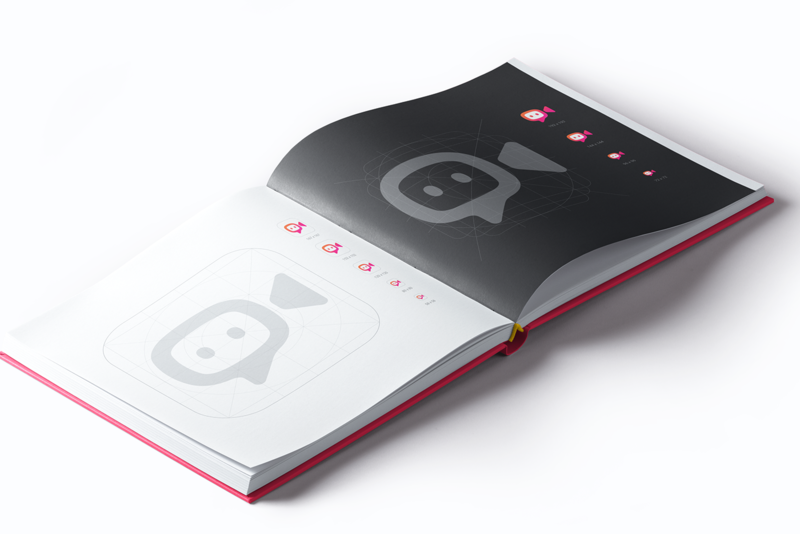 The marketing team from JusTalk approached us with the ultimate goal of making a new visual identity design appealing to international users beyond their initial Asian market and increasing brand awareness. 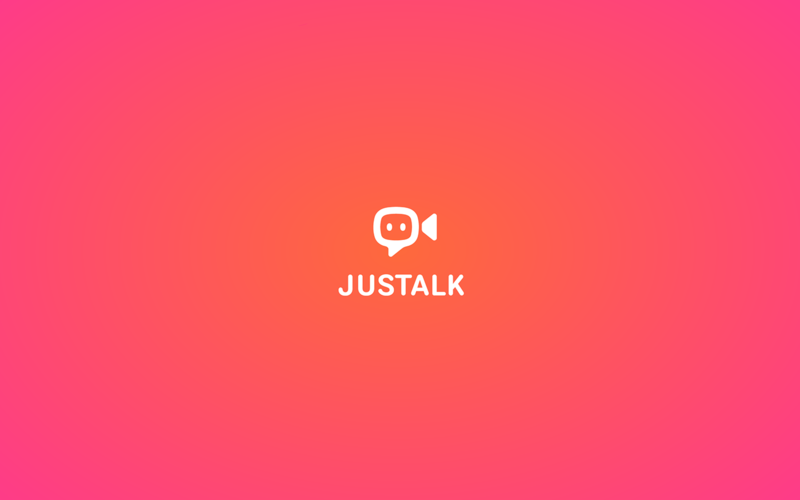 JusTalk was in good competition. So our task was to create a visual identity that was strong enough to compete with big players such as FaceTime, Google Duo, ooVoo, Skype, IMO, WhatsApp, Tango, Viber, WeChat, Houseparty, Musically, Facebook (Event), and Snapchat Stories. 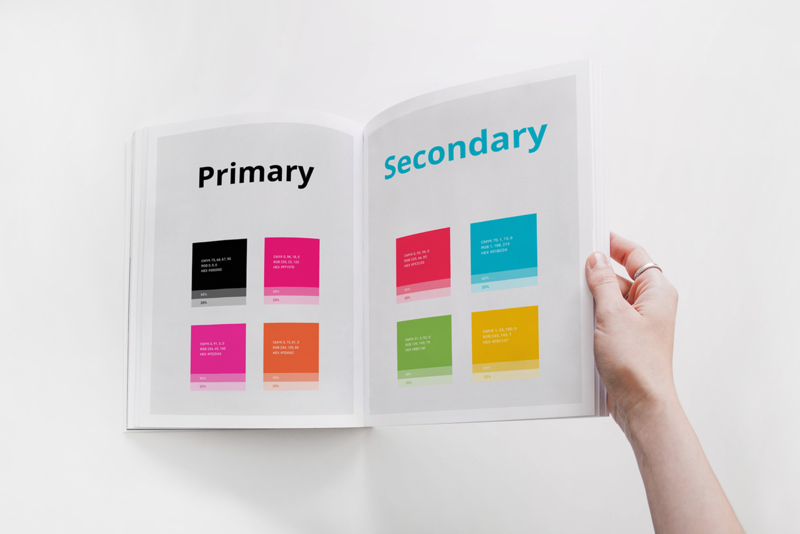 As you know from our other projects on Bēhance, our "design funnel" approach starts with defining a visual positioning, preparing moodboards, and all other exploration and preparation work. When it's done and everything looks correct from a positioning and marketing perspective, we start producing tons of sketches with different levels of fidelity. That's the only way to find the right balanced shape that conveys a recognizable and applicable metaphor for a logo sign. Of course, a logo sign is not always required for a company branding, and there are a lot of brands that live with a wordmark only. But the reality of digital products like mobile apps is that a logo sign is required because a core brand asset is the app icon. The core challenge was to create a logo that could be registered as a global trademark with no copyright issues. Of course, that's a part of our process to check that there are no similar logos in the industry, etc. But checking hundreds of thousands of registered trademarks was a task of another level of complexity. Fortunately, the guys from JusTalk had a legal expert to do that, but that was a tricky task to use familiar shapes of a camera, chat bubble, face and create a unique sign at the same time. Another big challenge was to create a visual identity that looks appealing to Eastern and Western users. The combination of visually balanced camera and chat bubble shapes which seems expected for Western audiences plus some emotional aspect we've made by adding cute eyes, which is connected to Eastern culture gave us the right 'magic sauce '. Ten years ago if you were a designer creating a logo, you would have to apply the logo to a business card and a header of an official corporate letter which were essential assets of a visual style. 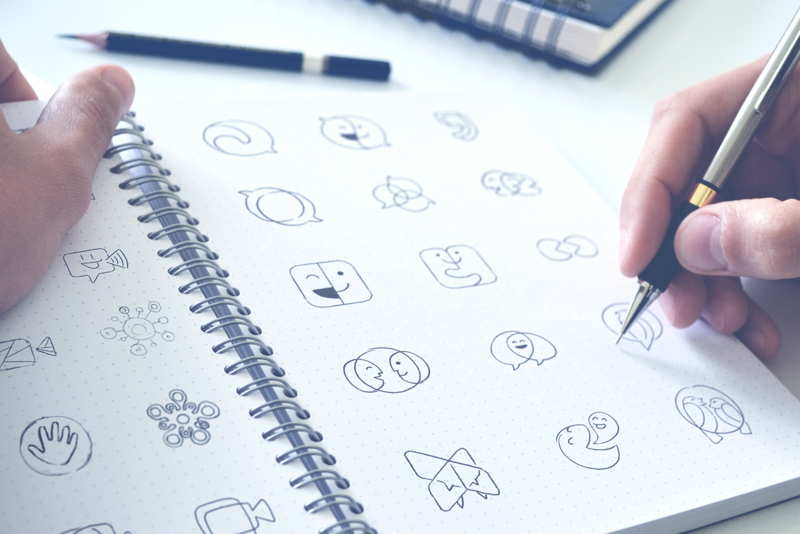 Today, a brand designer should keep in mind how a visual language could be applied to an application or web interface. The bare minimum he/she needs to do is check that colors are applied correctly and all pictograms are consistent. 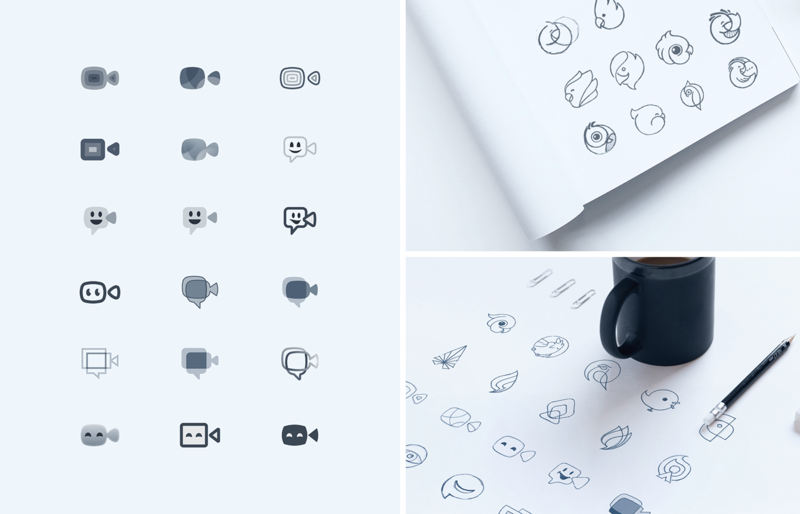 Ideally, you should also create your own pictogram set as we did in this project. Moreover, we designed a couple of key sections in the iOS app to show how the new identity should be applied. 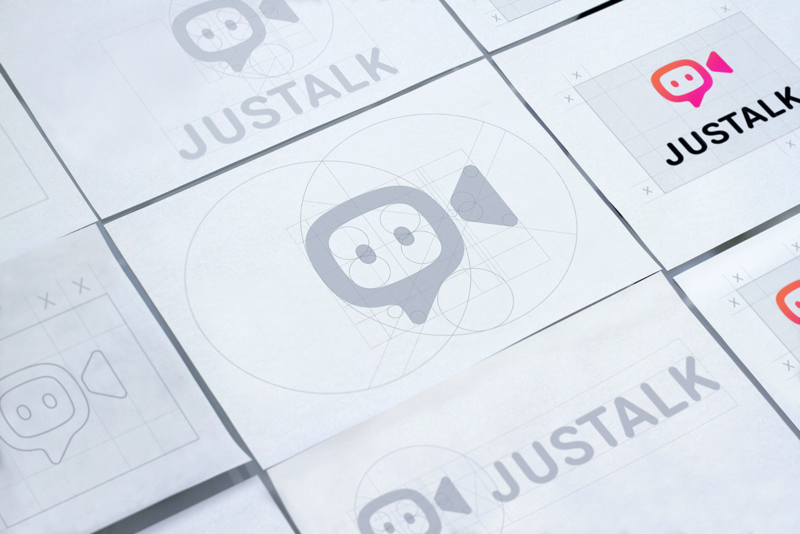 JusTalk has a solid in-house design team, so that was enough and now they continue improving other design aspects on their own. It's a great pleasure for our team to see when the branding we designed goes live. We check online and offline channels to find how our clients use the brand identity assets. It's not just a random interest, we want to be sure that they use the design guidelines correctly. And we always try to improve that by guiding them and identifying possible issues. These are our post-delivery activities and it is our obligation to ensure that the brand stays consistent across all channels.